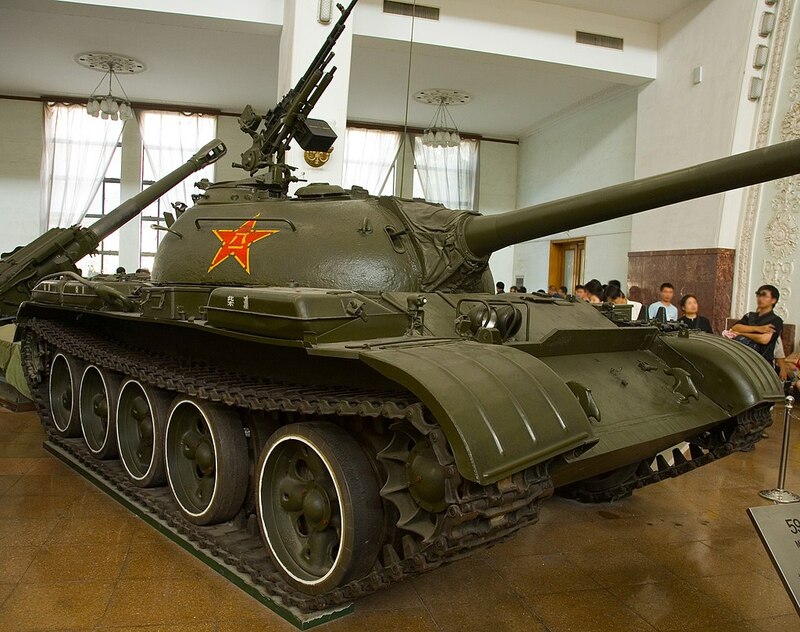 After Mao Zedong and the communists took power in China in 1949 they obtained several hundred Soviet T-34/85s. These were used to equip a single mechanized division. After some delay the Chinese began to produce a copy designated the Type 58, but this was swiftly redundant with the appearance of the T-54. It is not clear if the Chinese ever had a full manufacturing capability for the T-34/85 like the Czechs and Poles, or simply conducted sub-assembly and refurbishments. Initial Chinese perceptions of the utility of the tank were greatly influenced by their experiences in Korea and Indochina. In Korea the terrain had confined the North Korean tanks to the roads and they had proved vulnerable to enemy air attack. General Wei Guoqing, the chief Chinese advisor to the Viet Minh in Indochina, had witnessed how they had defeated the French without recourse to tanks. China’s most significant contribution to the Viet Minh’s war effort had been artillery and anti-aircraft guns, not tanks. The French had employed the M24 Chaffee light tank and the M4 Sherman medium tank which had given then little discernible strategic advantage. Many senior Chinese generals saw little scope for the tank in the `people’s war’ again the capitalists. They were steeped in the tradition of the `human wave’ attack, as used during the Chinese Civil War and the Korean War. Besides, the neighbouring Soviet Union was a fellow communist state so there was no threat from that quarter – or so the Chinese thought. 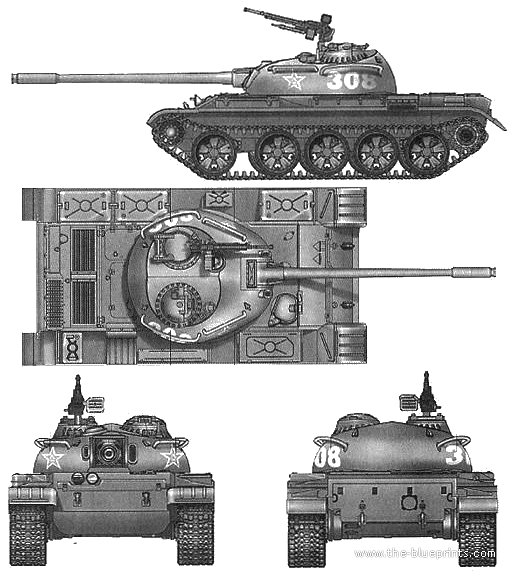 In the 1950s Moscow supplied the People’s Republic of China with a number of T-54As. 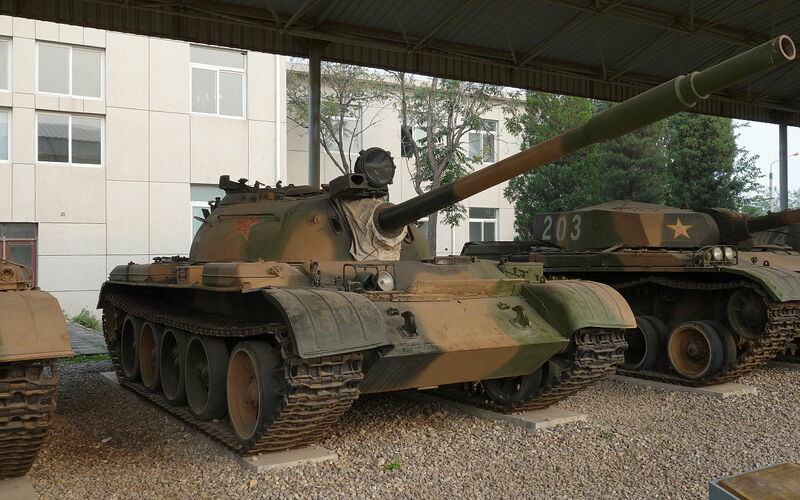 The Chinese subsequently built their own version, the 36-ton Type 59 MBT that appeared in late 1957. These were constructed by Factory N. 617 in Baotou in Chinese Inner Mongolia. The Chinese selected the location because it was a city built up around heavy industry, in particular steel. In addition being close to Mongolia meant that it was remote. Once Baotou became the site of a plutonium plant the Chinese had to disperse their tank-building facilities for fear of nuclear attack by America or the Soviet Union. The early-model Type 59 looked almost identical to the T-54 but was not equipped with a main armament stabilizer or infra-red night vision equipment. Later models were fitted with a fume extractor similar to the T- 54A, an infra-red searchlight for the commander and gunner plus a larger one above the main gun, with a laser rangefinder just to the right of it. 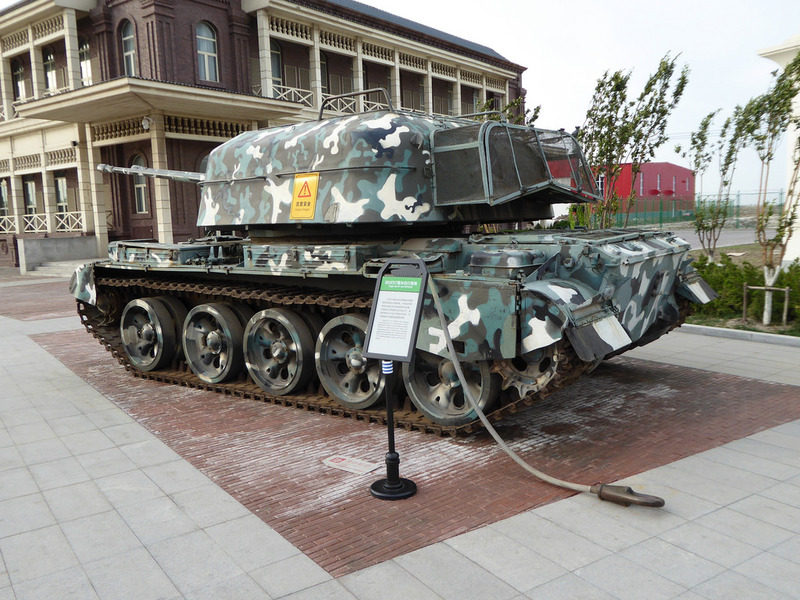 To arm the Type 59 China produced a copy of the D-10T tank gun but the Chinese designation for this weapon is not known. Subsequent upgrades resulted in the Type 59-I and Type 59-II, the latter being armed with a 105mm rifled gun. outwardly the Type 59-I was the same but featured a simplified fire-control system and laser rangefinder, plus low pressure engine alarm and an automatic fire extinguisher. Also the cupola door cover and safety door cover were fitted with a hydraulic booster to improve opening and closing. On the Type 59-II the barrel was fitted with a distinctive fume extractor and thermal sleeve. The Chinese produced up to 700 Type 59 a year by the 1970s, rising to a rate of about 1,000 a year by the early 1980s. This consisted of a Type 59 with its turret removed. As it did not have a winch, it functioned purely as a towing vehicle. Armament was provided by a single 12.7mm machine gun. It is thought this ARV may have been a field modification rather than factory built. 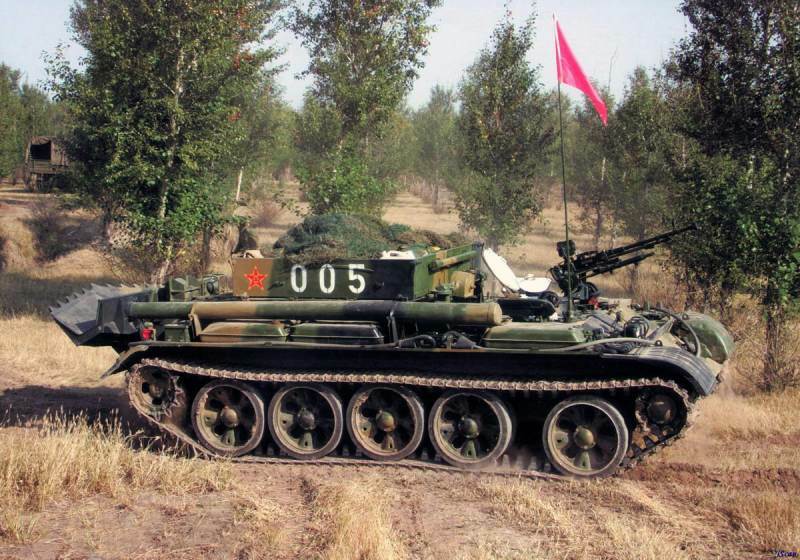 A derivative of the Type 59 was the Type 62 light tank, developed to cope with China’s harsher environments, especially hilly terrain and soft ground where the former could not operate. This was essentially a scaled-down version with slightly smaller dimensions and from a distance it was hard to tell the two apart. The layout was identical to the Type 59. The designers ensured the tank, armed with a shorter 85mm gun, had lower ground pressure and was 15 tons lighter than the Type 59. About 800 were built for the Chinese People’s Liberation Army (PLA) and around 500 for export. Some of the light tank variant were converted into armoured recovery vehicles. It is not clear if these were production vehicles or simply field conversions. 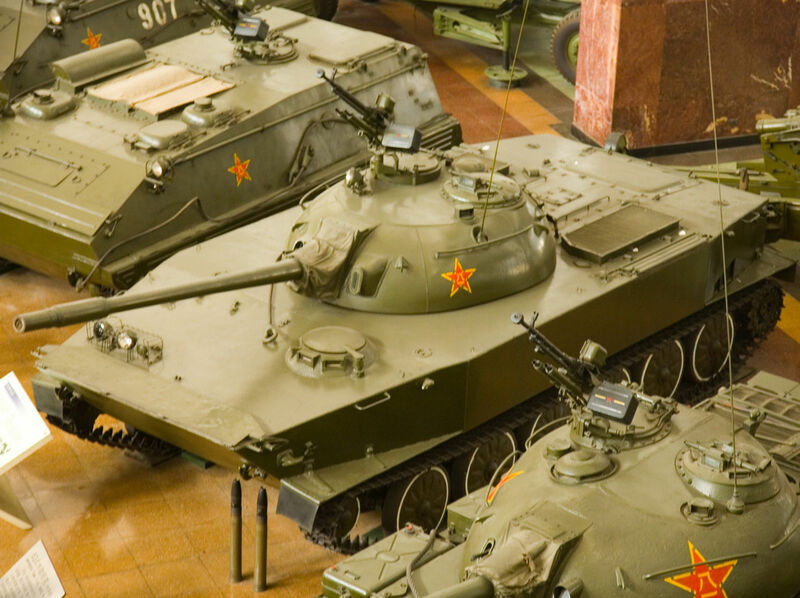 The Chinese Type 63 was based on the Soviet PT-76 light amphibious tank, so the hull and wheels bear no resemblance to the T-54. However, the Chinese version is noteworthy as it featured a turret similar to the Type 62 and was likewise armed with the same 85mm gun. Its roof though was flatter, had smaller commander/loader hatch mountings, no ventilator dome and single handrails either side. About 1,200 were built for the Chinese Army and a number were exported to North Korea and North Vietnam. Thanks to regular border wars with India and the Soviet Union the Chinese had need of both the Type 62 and Type 63. The frontier with India is dominated by the Himalayas so is not tank country. In contrast the border to the north-east with the Soviet Union along the Ussuri River is very marshy territory. 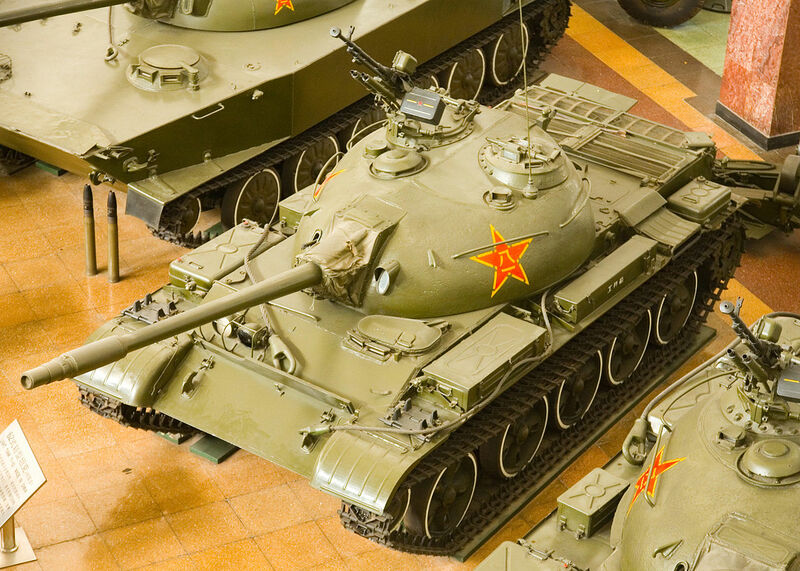 A further development of the Chinese Type 59 was the Type 69 that appeared publicly in 1982, though it may as its designation implies have gone into service some years earlier. The differences in appearance between the two were minimal. It drew on the Soviet T-62, an example of which was captured in 1969, though it did not copy the latter’s 115mm gun. The Type 69 had a infra-red/white light headlamp arrangement that differed from that on Soviet tanks. It also had distinctive cage-like `boom shields’ or `grid shields’ on the turret sides and rear as well as a bank of four smoke grenade dispensers on either side of the turret. The `boom shields’, consisting of metal louvres mounted 450mm from the turret, were designed to detonate HEAT warheads and developed as a result of experience in the 1979 war with Vietnam. Side skirts were also fitted to protect the upper track. Another distinctive feature was a semi-circular protrusion on the bottom of the rear hull plate to allow for a new fan copied from the Soviet T-62. Although the Type 69 drew on improvements featured on the Soviet T- 62, it remained closer to the T-54 in design. The Type 69-I was armed with a smoothbore 100mm gun (this was slightly longer than the 100mm rifled bore on the Type 59 and has a bore evacuator near the end of the muzzle), while the Type 69-II had the rifled 100mm gun and a different fire-control system. The first variant does not seem to have been very successful and was superseded by the second model after just 150 Type 69-Is had been delivered. A Type 69-III or Type 79 was produced for the export market armed with a 105mm gun, but only just over 500 were ever built. This vehicle was produced to provide battlefield support for the Type 69 main battle tank. 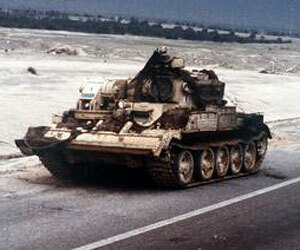 Whereas the Type 59 ARV was only a towing vehicle the Type 653 was much more capable. It could not only recover stranded tanks, but also conduct major repairs such as replacing engines, remove obstacles and digging firing positions for gun tanks and artillery. It comprised a Type 69 hull and chassis minus the turret. In place of the latter to left a fixed superstructure was installed, while to the right was a hydraulic crane. The latter was mounted on a 360-degree turntable situated in line with the driver’s position. A hydraulic dozer blade could be fitted to the front. The main winch enabled it to haul up to 70 tonnes. The Type 653 required a five-man crew. 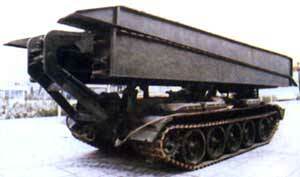 This likewise consisted of a Type 69 with its turret removed and replaced with bridge launching system. The bridge of light steel folded in half with one on top of the other when in transit. This extended to 18m and could bridge a 16-metre gap. It could take wheeled and tracked vehicles weighing up to 40 tonnes. A hydraulically-operated stabilizer blade was mounted under the front of the hull and this was employed during the last phase of bridgelaying; it could also be used as a dozer blade. The Type 84 required three crew including the driver. This was the Chinese version of the Soviet ZSU-57-2. It utilized a modified Type 69-II equipped with an open-topped turret armed with twin 57mm cannon. This had a vertical range of 8,000m, though it was only effective to 5,000m, and a horizontal range of 12,000m. The Type 80 had a six-man crew. During the 1980s the Chinese also built several prototypes armed with twin 37mm guns but these did not go into production. Considerable quantities of Type 59/69s were cynically exported to both Tehran and Baghdad during the Iran-Iraq War. Pakistan also proved to be a major customer for both models – these though proved unreliable – as well as Thailand and Zimbabwe. Small numbers of the Type 653 ARV were also supplied to Bangladesh, Iraq, Pakistan and Thailand. Drawing on these tank designs the Chinese went on to produce the Type 79, 80, 85 and 90 tanks. The Type 85-II was also built for the Pakistani Army. China produced somewhere in the region of 10,000 Type 59/69s. This entry was posted in AFV, China by MSW. Bookmark the permalink.